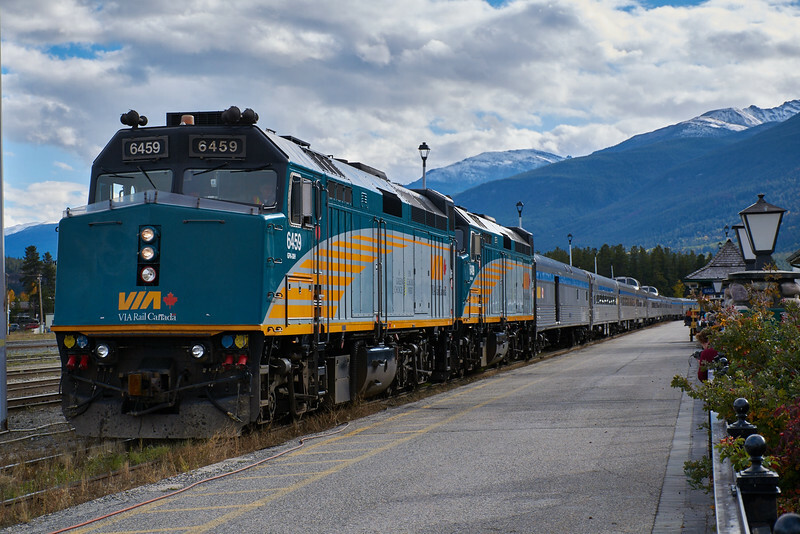 A much anticipated journey of three days and three nights eastwards from Jasper to Toronto on the famous "Canadian" which began its life back in 1955 and has held its head high ever since! Most of the photographs had to be taken through the train windows - on the rare stops, this was not a constraint and GPS data could be tagged to the images. She arrives in Jasper at 4:30 in the afternoon - majestic!